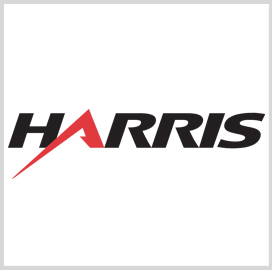 Harris‘ RF Communications business has been awarded a potential $140.7 million contract to develop a radio that can provide voice, data, and imagery to U.S. Army soldiers serving in the field, Military & Aerospace Electronics reported Tuesday. The goal is for the Mid-Tier Networking Vehicular (MNVR) radio to channel those services from upper level commanders to companies and platoons, the publication said. It would support applications for mission command, sensor-to-shooter, sustainment and survivability on combat vehicles and other tactical platforms. Military & Aerospace Electronics reports officials at Aberdeen Proving Ground in Maryland awarded the contract for the MNVR radio, which is based on Harris’ Falcon III AN/PRC-117G multiband networking radio, and will host Joint Tactical Networking Center waveforms.